This notion of ‘bringing the veggie garden in’ promoted ideas of a learning environment that was dynamic and malleable, akin to the outdoors; a space in which children are free to dwell and develop in their own niches of the ‘garden’, yet still remain within the guiding capabilities of their teachers. 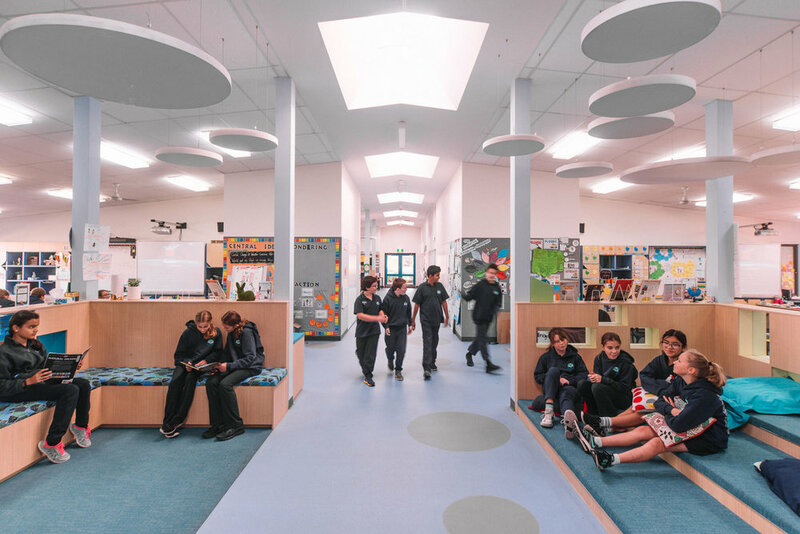 Catering to the vast and varying learning abilities of the children, the design outcome eschews traditional classroom layouts, instead providing a highly versatile Collaborative Centre, which could be sculpted and moulded for and by the children. With the Aspendale Gardens project, we not only intend to provide a more vibrant, cosy and playful environment for the teachers and students, but our hope is to conceive a new stigma around teaching and learning: a place where the teacher’s responsibility is not to dictate every action of the children, but instead to facilitate their growth – like plants in the vegetable garden.